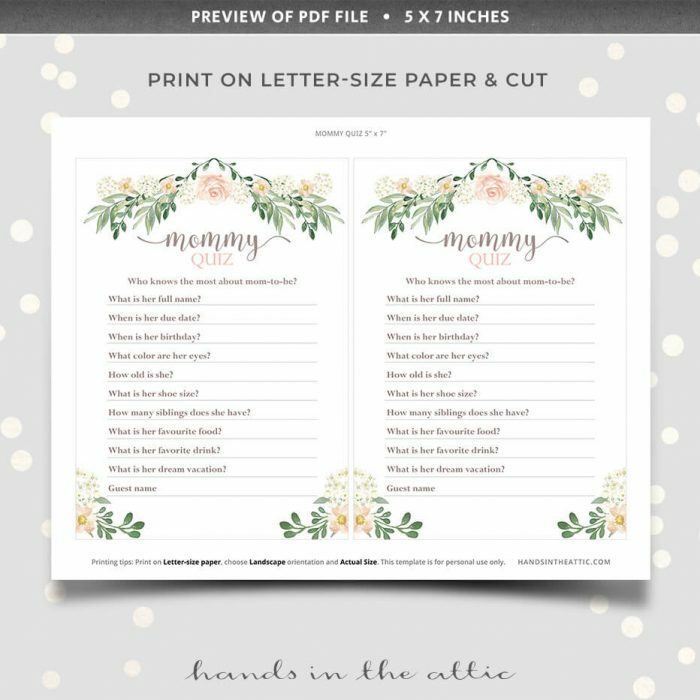 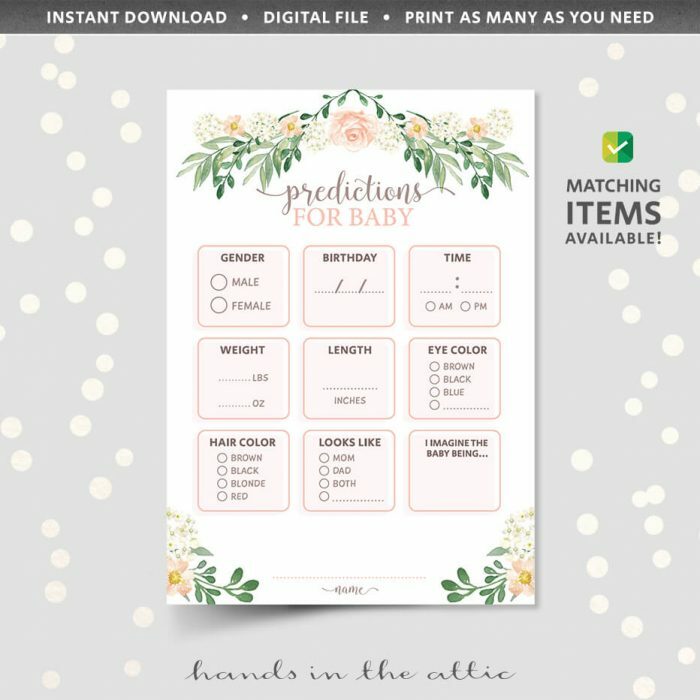 Find out how well your baby shower guests know the mom-to-be with this printable game – Floral Mommy Quiz. 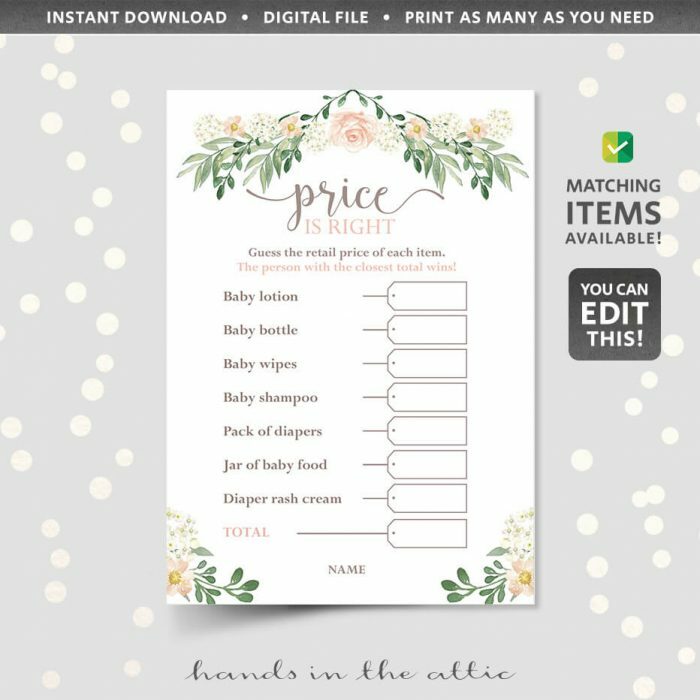 The unique feature of this printable template is that there are 10 suggested questions included, but if you would like to change any or all of them, you can! 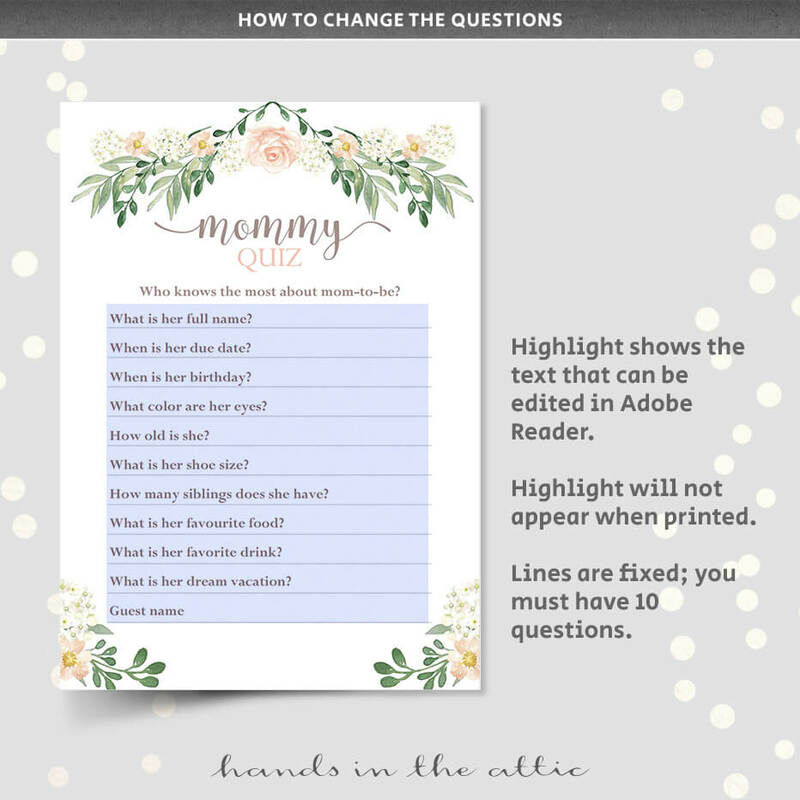 Simply open the PDF in Adobe Reader, replace the question(s) with your own, and save to print. 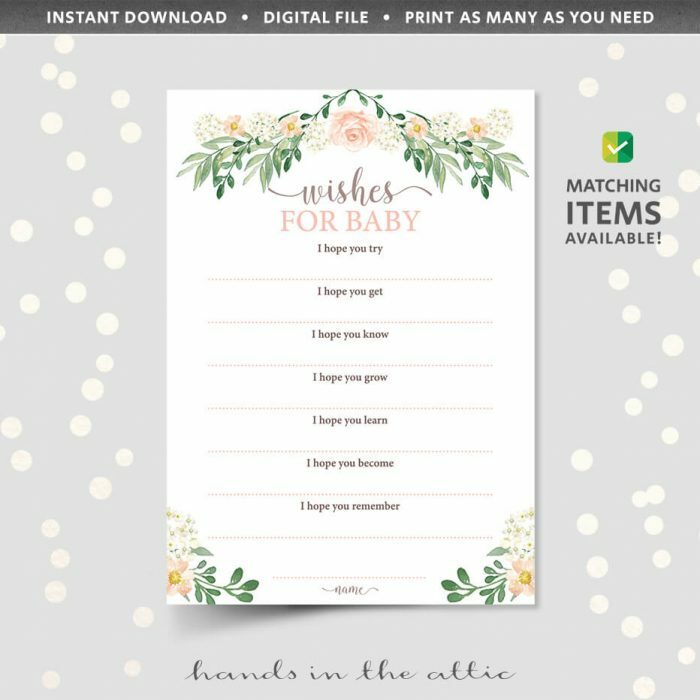 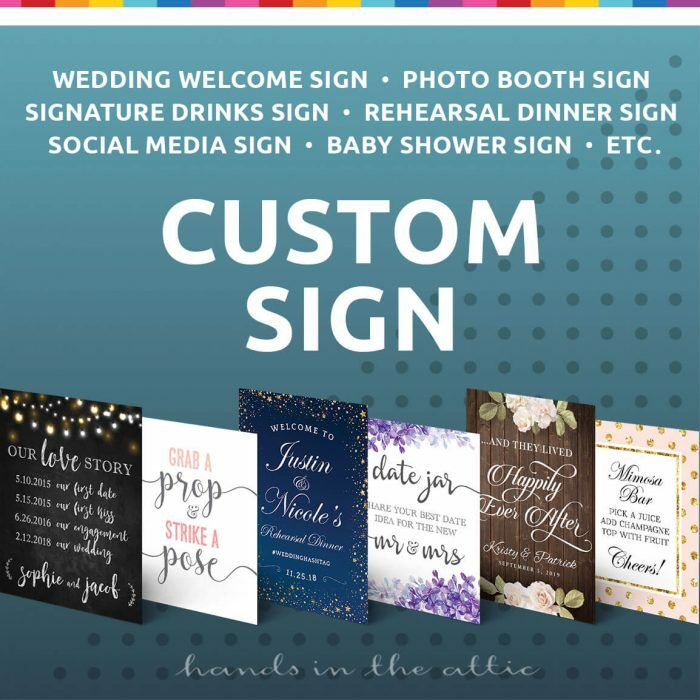 A truly personalized baby shower! You will edit this at home and only the questions can be edited. “Mommy quiz” and the instructions are part of the design and cannot be changed. Please refer to Image #2.